1.Bangalore - Mysore - Nanjangud - Hedthale. 2.Chamarajanagar-Hedthale. Take the Bangalore Mysore highway, upon reaching Mysore, proceed towards Nanjangud. 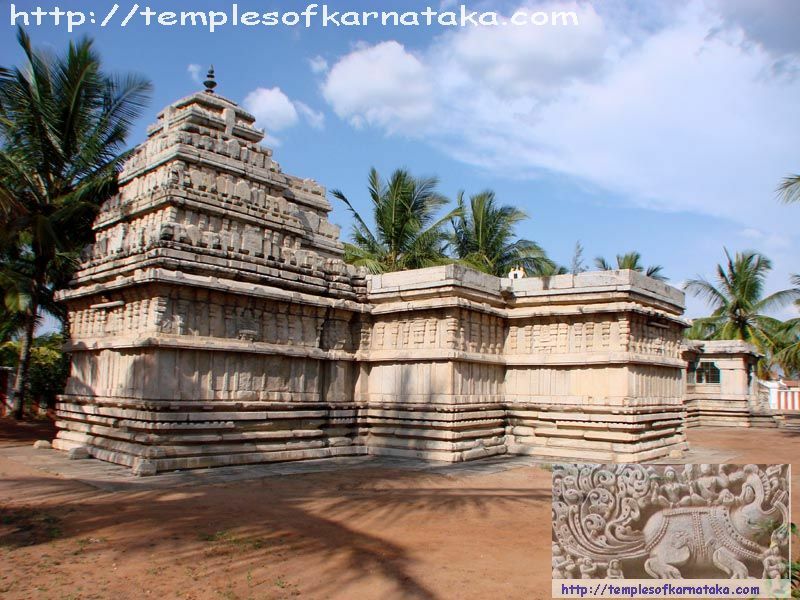 After visiting Nanjangud temple, take the road which proceeds towards the Chamarajanagara. Upon reaching Chinnadangudi railway station onto your left, proceed for about 2 kms take a right turn and you will find a temple arch, follow the route to reach the temple. Nearest railway junction is at Mysore. It is better to reach Mysore by train and take the road to reach faster as the railway frequency between Mysore and Chamarajanagara is once a day. The nearest airport is Mysore, but it is advisable to reach Bangalore as it is highly connected across India and other parts of the world.